This project is for a small, 1-person consultancy called "SPOKE Solutions" that offers a variety of services. Systems, People, Organization, Knowledge, and Executives (the first letter of each word is "s" "p" "o" "k" "e"). The word SPOKE is meant to evoke two linked meanings: 1. the past-tense of "speak," and the implications that someone has "spoken" or said something that is insightful, that leads to actions being taken, and that is of great impact. 2. the parts of a wheel which radiate out from a single center and which support the rim of the wheel which rolls forward. So, the "spokes" of the business radiate out from the single hub (me, the owner of the business), and the spokes represent different services. a. training and advisory services to business executives about global cultural differences in the business world. e. executive coaching and advisory services for global corporate executives. The services we provide are not "standardized," but are always "bespoke", that is, customized and tailored to solving specific problems. SPOKE Solutions is therefore mobile and dynamic (the way that a wheel will roll forward), but also simple in structure (with the simplicity of a spoked wheel) but not "retro." It emphasizes face-to-face interaction and dynamic (to "speak" to someone) and customized, insightful design of processes and deliverables. The ideal outcome of this logo / business card / letterhead design project will be a simple and visually interesting logo as well as a basic color scheme, font, etc. which can be used for all of my consulting projects. It may ultimately be adapted for a website, but the website design is not currently needed. b. a color and font scheme for use in letter head documents, PowerPoint reports, etc. My audience consists of corporate executives (mid- to senior-level), who are globally focused (not simply thinking about a small, domestic market), and who seek a highly personalized, trustworthy, responsive, and dynamic provider of a variety of services. I want my audience to be aware that they have retained a consultancy that provides them with one or more essential "spokes" in their own professional or career wheel. 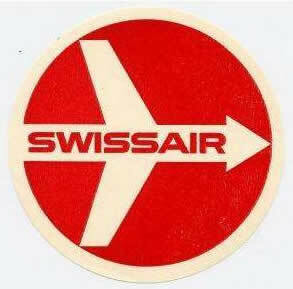 http://upload.wikimedia.org/wikipedia/co... --- I like the old Swissair logo because of the arrow element (flight, speed, accuracy) and the way that the name and the arrow work together. The simple and highly recognizable color scheme are also great. http://www.goodlogo.com/images/logos/pan... -- I like this logo because it conveys the whole-ness of the globe and the way that various routes or lines of power arc across the globe, uniting it all. also a very simple and clear color scheme. http://www.businesspundit.com/wp-content... -- this logo is great because of the tremendous sense of power that the flying eagle conveys. it links the notions of flight and movement and power, but also takes the highly mechanized and machine-like nature of the jet engine and brings it literally "to life" with the image of the bird. http://ceoworld.biz/ceo/wp-content/uploa... -- the apple logo relates directly to the name of the company, but also conveys a world of diversity (different color bands) as well as sleek contemporary-ness. It is instantly recognizable. The logo must evoke something circular (like a wheel) with components radiating out from a central hub, and convey dynamism and movement. The graphic element does NOT have to include the company name ("SPOKE Solutions") but the overall treatment should include the word "SPOKE" in some fashion, below, next to, around, etc. the graphic element.